If you looked up “holiday spirit” in the dictionary, we’re pretty sure you’d find a picture of Tom Hanks buying lunch for an entire In-N-Out over the weekend. 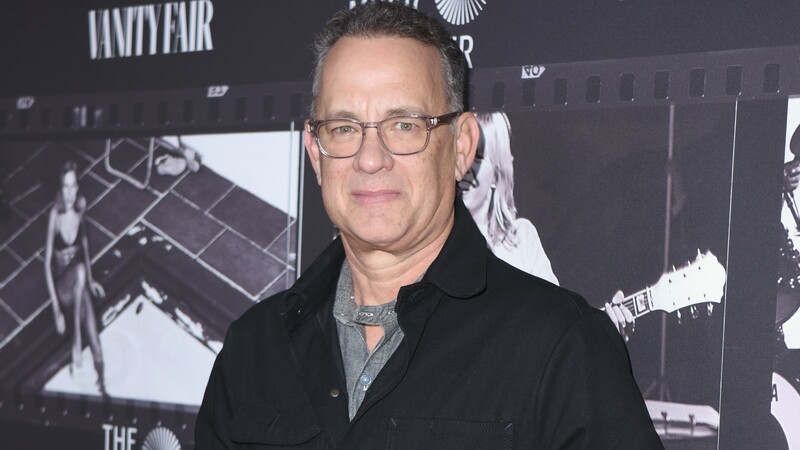 Fans who happened to stop at a Fontana, California, In-N-Out for lunch on Saturday got the surprise of a lifetime when Hanks, along with his wife, Rita Wilson, swung by the burger chain for a bite to eat. Not only did our fave celeb couple, Hanks and Wilson, pay for their own lunch and snap a selfie with the restaurant staff, but in the spirit of the holidays, they also treated everyone in the drive-thru line to lunch on their tab. According to CBS News Los Angeles, Hanks also took photos with any fans who wanted a permanent memory of the day he bought them lunch, like the extremely affable guy that he is. We assume that was basically everyone present at the time, because who doesn’t love Tom Hanks? CBS included Hanks’ selfie with the staff in their televised report as well as some of the fan selfies and a video of Hanks outside the In-N-Out, waving hello to a crowd of people and even stopping to shake one person’s hand. Obviously, the internet has been all about this sweet moment with Hanks and Wilson, with photos floating around various social media outlets all weekend. We especially love that so many of them were taken by Hanks himself, proving he’s mastered the art of a good selfie, even with a massive group of people standing beside him. Of course, this isn’t the first time Hanks has performed a random act of kindness. In 2016, Time magazine did a roundup of some of Hanks’ kindest highlights, including the time he took selfies with a bride and groom at their wedding and the time he photographed a student’s lost ID card and posted it on Twitter in the hopes of getting it back to her. He’s always been incredibly generous with fans, and frankly, we’re grateful for that.